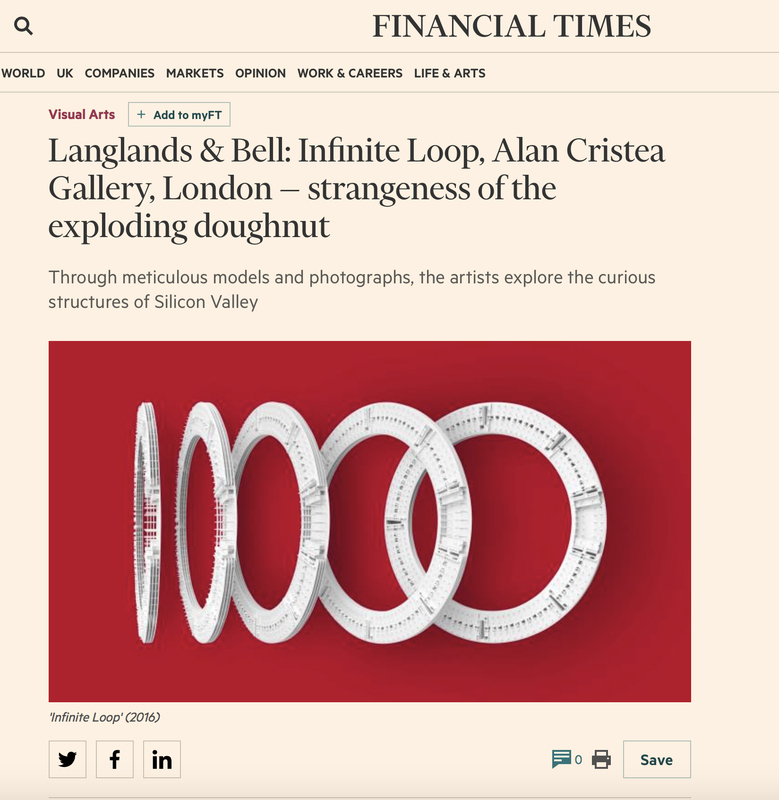 Review of Langlands & Bell’s exhibition Infinite Loop at Alan Cristea Gallery, Pall Mall, London, from 27 April – 3 June 2017. 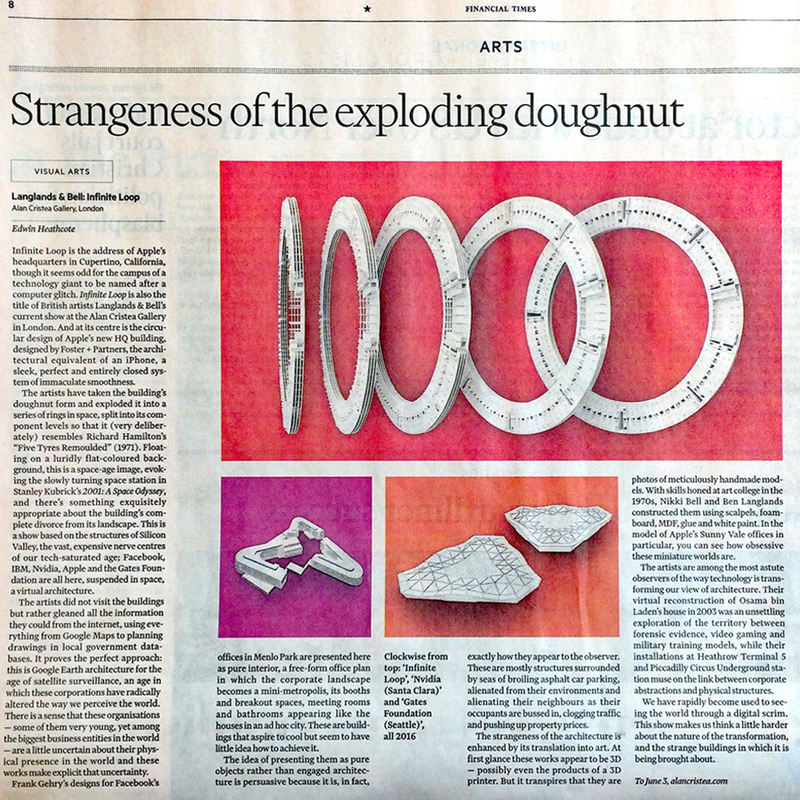 “The artists are certainly among the most astute observers of the way technology is transforming our view of architecture. Their virtual reconstruction of Osama bin Laden’s house in 2003 was an unsettling exploration of the sinister territory between forensic evidence, video gaming and military training models, while their installations at Heathrow Terminal 5 and Piccadilly Circus Underground station muse on the link between corporate abstractions and physical structures.